Designed to replace conventional stack lights, which often require time-consuming assembly and complex wiring, Banner’s TL50 tower lights provide bright, uniform lighting. 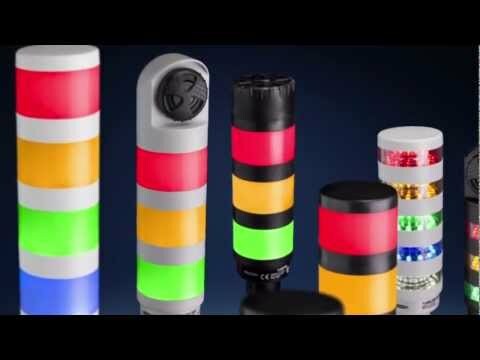 The new TL50 compact version displays up to five stacked colors in one tower with universal ac voltage and up to seven stacked colors in one tower with standard dc voltage, and ten colors to choose from for each segment. Banner’s TL50 tower lights come preassembled and preconfigured, allowing users to save time and money during installation. For use in diverse environments and applications, the TL50 compact tower light is available in audible models with standard, sealed or Omni-Directional audible elements.